Superstition and ritual creep into so many areas of life, but it’s no shock that tarot reading provides a particularly rich field for inventiveness in this arena. Given tarot’s esoteric nature, it would be weird if it was any other way (although you’d be surprised how pragmatic and down to earth many professional readers are). There are ways that I bless my cards, store or even read that may well be different to you, and I’m sure we are both as right as each other. However, some ideas can seem a bit more unhelpful or restrictive, and it is those that I want to address here. The more hard-line do’s and don’ts that may well get in the way of how you experience the tarot. 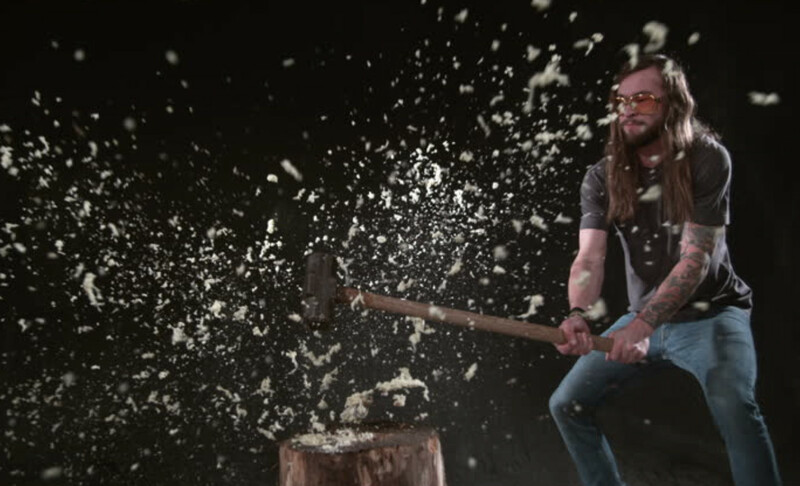 So let’s pick up that figurative sledge hammer and start swinging at the following unsightly vases of the mind! No one’s ever bought me a deck. I’m not looking for pity – I’m happy buying my own decks, thanks! – but my point is no one’s ever bought me a deck and yet I’ve managed to read tarot perfectly well for the last 30 years. Besides, sometimes a deck just calls to you, and shouldn’t you take that as a sign? So often, the tarot tells us to keep our eyes open for connections, and that doesn’t just mean with other people. Particularly with your first deck, which you’ll hopefully spend a lot of time working with, it can make sense to choose something with the right essence for your personality and spiritual path. Crowley’s Thoth Tarot? You shouldn’t have! A tarot deck is a wonderful gift. How many presents provide a lifetime of portable prophesy and self-analysis? Not to mention the stunning art and opportunity to learn beautifully profound symbolism. So yes, please go buy that wonderful friend a tarot deck. But with respect to how well the deck works, it will make no difference to had they bought the deck themselves. Why would it? Not only is it a bit baffling, I can honestly say from own experience, and from the experience of many others, it just is not true! Like many readers I am genuinely interested where this myth started – if you think you know then please comment below. OK, so barring a remote reading, how can you really do a reading for someone without them touching the cards? The fact is that the cards will be handled many times by many people, one would hope, so someone touching the cards is unlikely to be something the cards are sensitive about. No, it’s fine, you go for it. That’s what they’re there for. If you feel that someone might impart an impression on the cards when touching them, which is a reasonable assumption, remember that the next person you read for will give them a proper shuffle too so anything that has gone before will be wiped clean. I recognise that there are times when the cards do not feel right. Maybe you have just done a very intense reading or something did not sit right with the last person who handled the cards… then there is a very simple way of re-aligning the cards energy whilst on the go: Knock on the back of the deck one or three times, visualising the old, unnecessary energy being expelled from the cards as you do. That’s it. I’ve seen this a lot at festivals when selling the Luna Sol Tarot and an old-hand picks up the sample deck – a quick knock on the back before they look. This is more about not picking up the energy from previous handlers of the deck, but it’s the same concept. Most tarot readers will tell you that what the cards reveal is based on current circumstances and is usually quite avoidable, whatever the cards say. Yes, there will be times when the same card is drawn multiple times. It’s worth considering that there is a message that you may not be listening to, rather than a super-powered road block of the Gods. 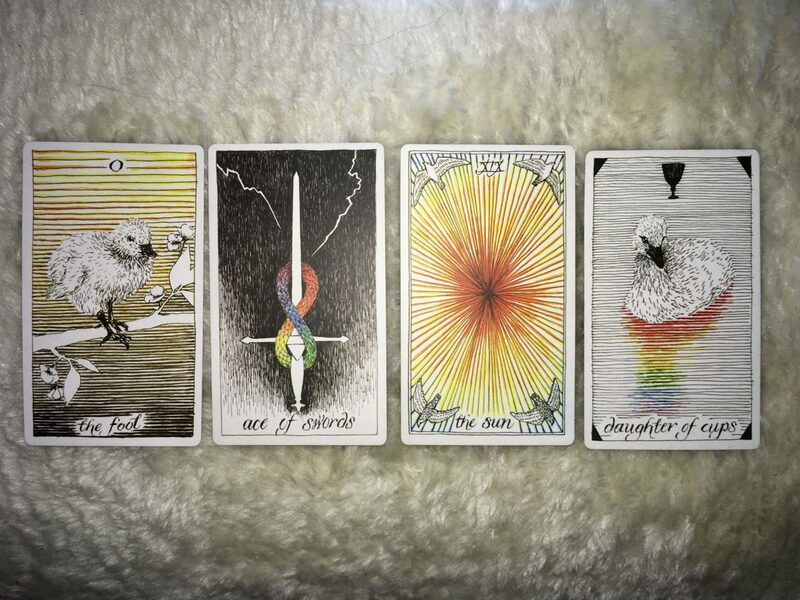 The results of the tarot are most startling in a reading when their relevance to the querent and current situation are most accurate, but this speaks to the now. This isn’t to say that the tarot’s ability to divine the future is at fault – it can be remarkably accurate – but rather that our perception of how it works may need refinement. If you think of your reading as delivering a probable answer, given the current events, then there is always the opportunity to take a different path. When using the tarot for divination this is kind of the point – the chance to weigh up potential outcomes and react accordingly. And remember, divination is just part of what tarot can provide. 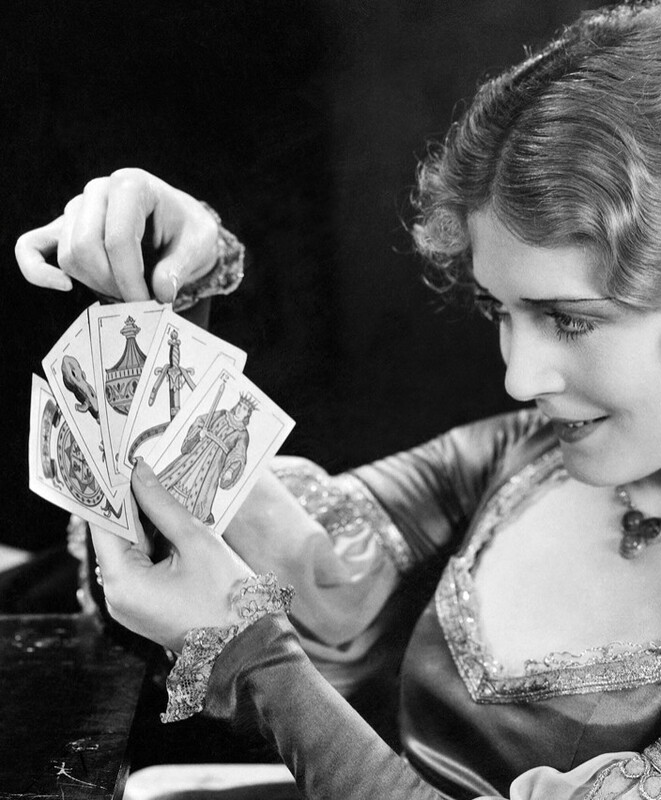 For many, tarot is a means of self-analysis. It’s an opportunity to delve deeper into yourself and reflect on what being you really means and how you fit into the world. But if you would like to hear about the tall, dark stranger you’ll meet tomorrow – no judgement! This might be a strange one to address but I have certainly heard it said and believe it is an important idea to refute. 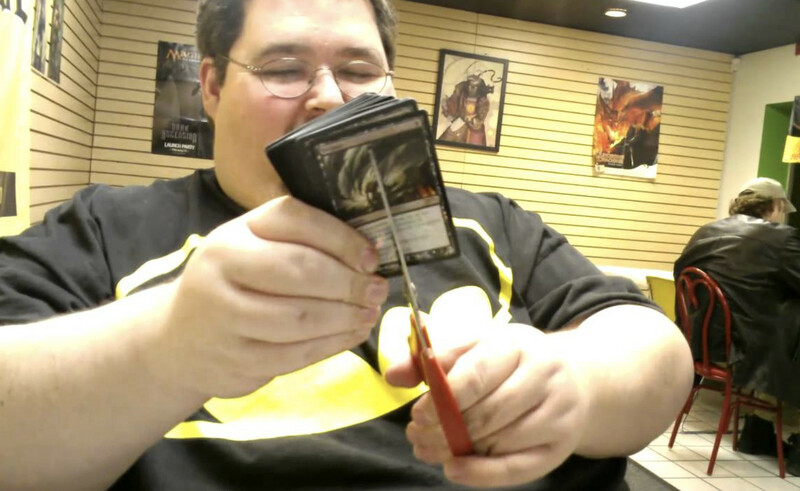 No, damaging your cards will certainly not curse you. Best not give ideas like this headspace! The worst that could happen is that they no longer work as well. You might see that on a mystical level or a more mundane one (if you spill blackcurrant juice down the back of The Hermit, it’s going to be an easy card to spot when you’re selecting your cards). But whether you relate to the cards as a psychological tool or as a means to access the Akashic Records, getting yourself in the right frame of mind to read the cards is important. Thus, treating them with a degree of respect could certainly help your reading. It will not, however, bring you better fortune. I broke myth 1 – you can’t buy your own deck – pretty much the moment I became interested in using tarot cards! I’d never had a reading, and essentially no one I knew was into tarot, so I couldn’t really expect to be given one at the time. And our Luna Sol hadn’t been published yet! No, instead, I spent ages looking for the perfect deck for me to start out with. And I’m so glad I did! I was already diving into a foreign territory, but at least I was doing it with a tool that really called to me. I still go back to my first deck over and over again, and I’ll probably always continue to use it because it just continues to feel right – a credit to my careful selection! That said, I’ve also been the recipient of a deck from someone else. Darren recently gifted me with the stunningly beautiful Brady Tarot. Not only is this one of the most beautifully produced decks out there (good gift, Darren! ), it also really resonates with me. 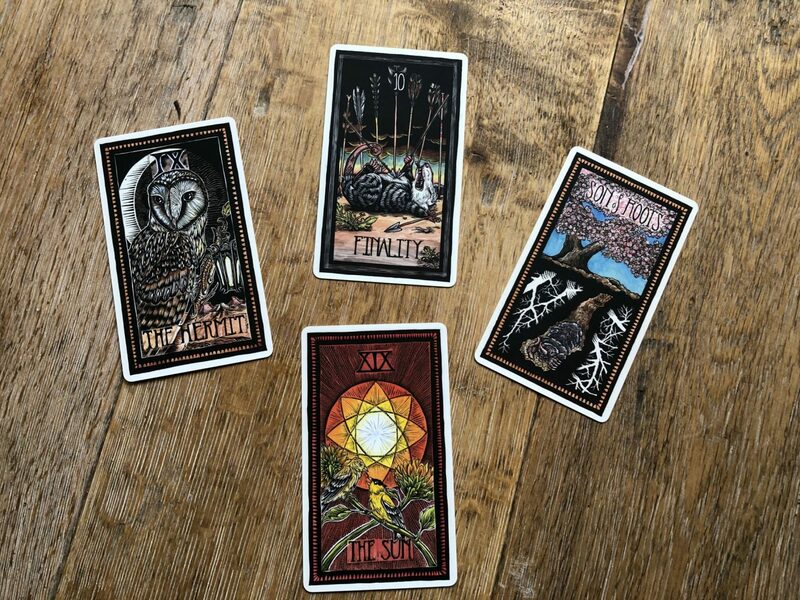 Darren knows I’ve love nature in my tarot cards after having started with the Wild Unknown so perhaps that’s why this deck seemed like one for me – along with the fact that all of the flora and fauna depicted are North American (like me! ), so I get a little bit of my favourite parts of home every time I do a reading. The joy of having been given a deck like this is that I now have this beautiful spiritual tool guiding me on my journey I would have never picked up for myself. The uniquely-named suits and high price point would have intimidated me if choosing my own deck (already drowning in books, I don’t bring a lot of decks home with me). But now, thanks to the generosity and thoughtfulness of a friend, I’m accessing different answers and feelings that I wasn’t getting from the decks I picked out for myself. Different vibes, different feelings – but still pretty cool to read from a gifted deck! While I can’t really hold up my soul as a good example for the class, I can say that I too have gone against plenty of tarot myths and, honestly? I seem fine… I suggest you do tarot the way in the way that feels right. If you love a bit of superstition, then go on and keep your deck under lock and key. But if tarot for you feels messier, more sociable and more addicting, then go ahead and use them lots with friends, and go on and buy decks for yourself, for your friends… for whoever you want! *Cannot be held responsible for future spiritual backlash!! !